Pack your bags for 9 days in Piedmont! Truffle hunting demonstration and white truffle fair in Alba, tastings with wine producers in the most famous wine region in Italy, guided walking tours, traditional restaurants where you will sample specialities of the region, 4-star hotels, cooking class, shopping, eating and drinking! 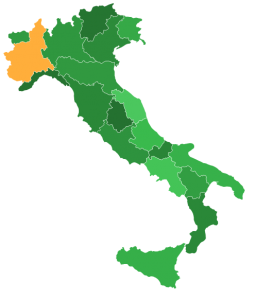 Piedmont borders France and Switzerland, as well as the Italian regions of Lombardy and Liguria. In the north, Piedmont rises up to the Alps – hence the name ‘pied monte’ literally meaning ‘at the foot of the mountains’. The region features great ski resorts and a vibrant outdoor culture of climbing and hiking in the beautiful countryside. The French influence is evident in the local cuisine, with its rich sauces and use of butter instead of olive oil. In fact, French was the native language here before the turn of the 20th century. This is a cuisine with flavours of France as much as Mediterranean Italy. Fondue is featured on many menus, especially bagna caoda, with its sauce of anchovies, garlic, butter and cream. Pastas and risottos are often flavoured with delicate shavings of truffle, and saffron is another popular risotto ingredient. Piedmont has one of Europe’s most elegant old cities in the shape of Turin, a monument to cafe society. 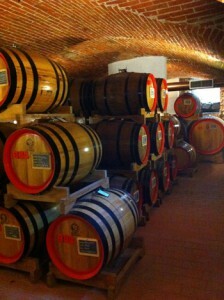 It has marvellous local wines, big reds such as Barolo and it has the pungent truffles so prized by gourmets. It has good sparkling white wines from around Alba and Asti. Our tour includes private bus transportation, luxury 4-star hotel stays, tours of Piedmont, gourmet meals and the chance to experience the cuisine of this unique Italian region and go behind the scenes to see and taste the foods of Piedmont at the source. Deposit is due by June 1, 2019! Morning arrival at Milano Malpensa Airport. Our guide Gioacchino will pick you up in our private van and bring you to Hotel Turin Palace. This 4-star hotel is located in Turin’s pretty city center, where you can enjoy a spectacular view from the wonderful terrace. The light-filled rooms in this historic 1870 building exude elegance and welcome guests in an ambience of pleasant relaxation. After check in, enjoy some free time at the hotel or exploring Turin. At 8 pm we will have our welcome dinner at Restaurant La Badessa. Breakfast at Hotel Turin Palace. After breakfast we will take a guided tour of Turin, followed by a visit and tasting at Guido Gobino – a fabulous bean-to-bar artisan chocolate producer, famous for their gianduia. Enjoy the rest of the day on your own, exploring Turin’s elegant tree-lined boulevards and stately art nouveau cafes – where you might try a Bicerin, Turin’s signature drink of molten chocolate, espresso and whipped cream. Turin is the home of Italy’s car industry, its first cinema; it’s the place in which vermouth and Nutella were invented, and it gave birth to the Slow Food movement. Breakfast at Hotel Turin Palace. We will checkout this morning and drive first to Asti for a visit and tasting at Barbero Torroneria Cioccolateria – maker of the classic Italian nougat, Torrone. Explore Asti for lunch on your own before we transfer to our next hotel in Benevello. We will check in at the Hotel Villa D’Amelia, our home base for the next four nights. Sitting on the ridge of a hill between forest and hazelnut groves, with a breathtaking view of the Alps, Villa d’Amelia is the perfect starting point to discover this region, rich in flavors and traditions. For the evening, we will take a short drive to Alba, where you can explore on your own before our dinner at Museum Ristorante. Breakfast at Hotel Villa D’Amelia. 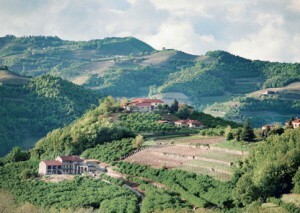 This morning we will travel to Costigliole d’Asti to learn how the famous truffles of this region are hunted. La Casa del Trifulau provides a unique opportunity to participate in a truffle hunt and enjoy a tasting lunch while learning about local traditions, foods and wines. After lunch we return to our hotel to relax before driving to Canelli for dinner at Ristorante Enoteca di Canelli. Breakfast at Hotel Villa D’Amelia. A short drive will take us to Mango for a visit and tasting at Gala Nocciole hazelnut farm, where they produce this essential ingredient of giandiua and torrone. Lunch and free time on your own in Alba, then back to the hotel for some relaxation. Tonight we will enjoy a wine tasting dinner at Cantine Barale in Barolo, home of the famous “wine of kings” – luscious reds from the Nebbiolo grape. Breakfast at Hotel Villa D’Amelia. Today we visit the white truffle fair in Alba! Afterwards, we will enjoy a light lunch before our cooking class. 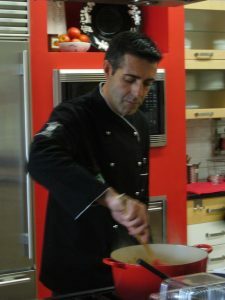 A professional chef will work with our group and we will be responsible for preparing a traditional Piemontese meal. We will start by going to the local market and shopping for ingredients. In the afternoon the chef will assist us in the preparation of the dishes for our dinner. Breakfast at Hotel Villa D’Amelia. After breakfast we will check out and drive to Vercelli for a visit and tasting lunch at rice producer Cascina Brarola. Here in Piedmont, rice is king and essential for their beloved risotto. In the afternoon we transfer to Como and check in at Hotel Terminus. Dating back to the 19th century, Hotel Terminus has both a great view of Lake Como and a central location in the historic center of town, next to Como Nord Lago Station. You will have dinner on your own in this charming, scenic town on stunning Lake Como. Breakfast at Hotel Terminus. This morning we will visit a textile maker famous for their Italian silk producer – Artesta. Lunch is on your own with free time in the afternoon. Our farewell dinner is at Michelin-starred restaurant, i Tigli in Theoria, located inside the “Palazzetto del Vescovo.” a historic building in the very heart of the city of Como next to the lake and the Dome, dating back to the mid 15th century. Breakfast at Hotel Terminus. We say farewell to Como and drive to Milan airport. Ciao for now! Nancy and her guests will be joined by guide and co-owner of aTTavola, Gioacchino Passalacqua, is an artisanal Italian food exporter, gastronome and native Sicilian who divides his time between Sicily, Italy and New York. As a native Mediterranean, Gioacchino has developed relationships with food producers, restaurateurs, olive oil companies, chocolatiers, vintners and confectioners.